The massive influx of people into Victoria during the 1850s also brought a huge number of animals to the diggings. Many were working animals, such as horses and bullocks, or were raised for meat consumption. High maintenance pets such as canaries and other birds were typically a luxury, as most diggers could not afford the money or time needed to care for them. 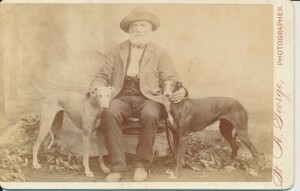 Dogs, on the other hand, had the dual advantage of providing easy companionship and security. If left to wander, they could catch their own food, or if confined to the camp they would happily eat scraps. Meat was in no short supply on the goldfields, and diggers would typically consume it three times daily in the form of fried chops. 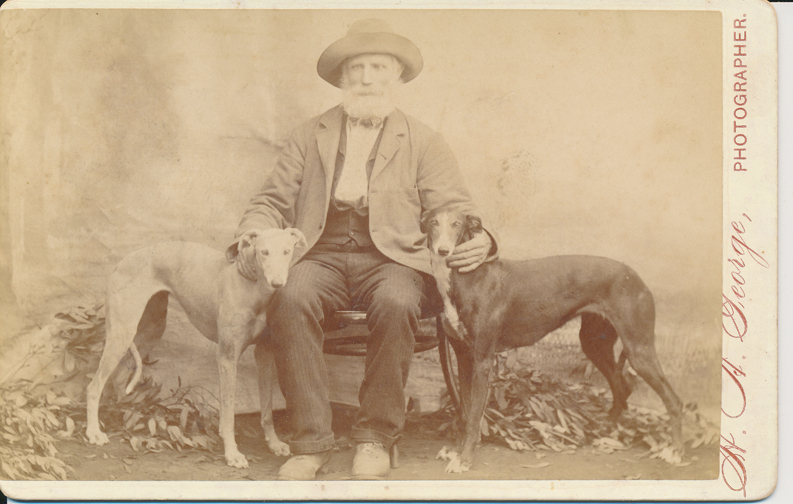 As security guards, dogs were wonderfully effective at fending off burglars – much like today. 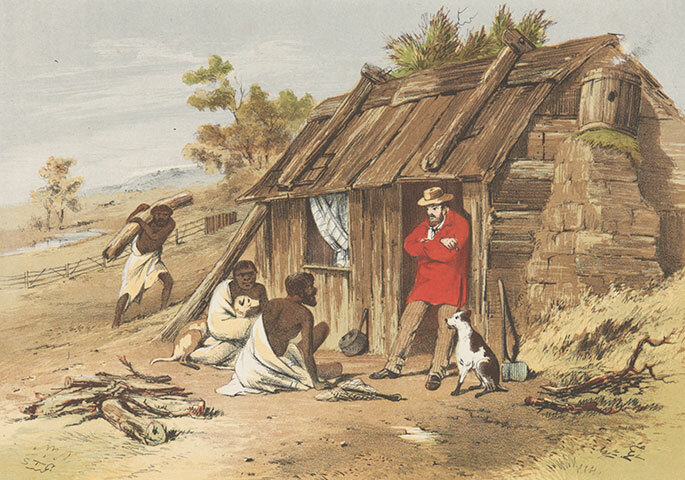 The animals were a common sight outside diggers’ tents, where they were stationed to protect any gold, food, mining equipment or horses. 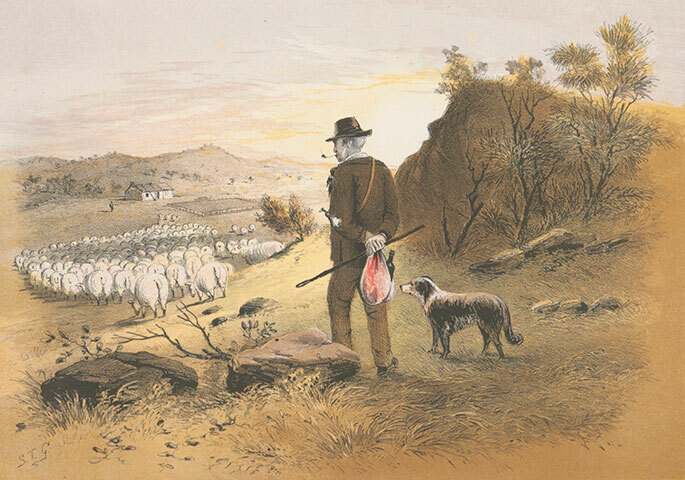 They were also an important investment for the goldfields’ butchers, whose slaughteryards were often the target of theft – both by people and other dogs. In 1857, local slaughteryard keeper Theophilius Grimmett was renowned for having some of the town’s most vicious ‘bull dogs’ protecting his business, which would kill any other animal on sight if it came too close! When the dogs were not tied to a tent or a yard, they were found wandering the streets of Ballarat – often in motley packs. 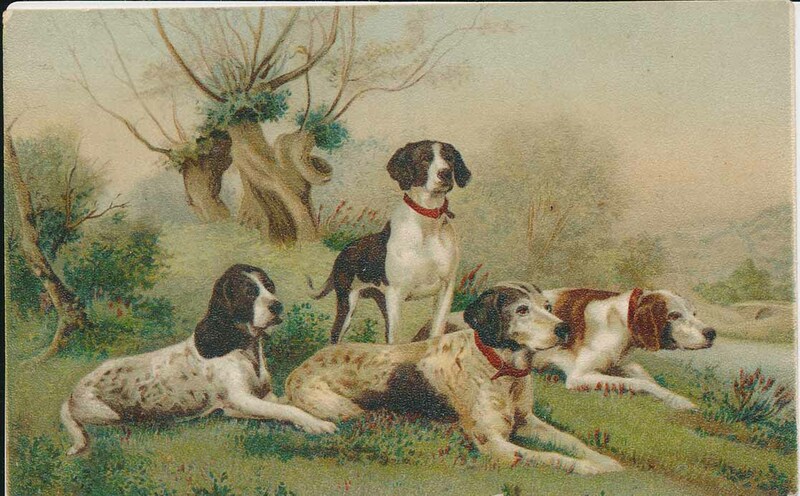 Stray dogs were a growing problem as the 1850s progressed, and were known to gang up on lone pedestrians at night. 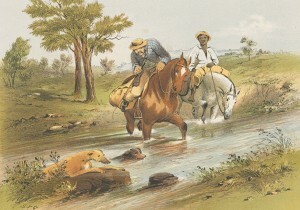 Kangaroo dogs were not a specific breed, but were any type of dog raised to hunt native game. The variety of dogs owned by diggers, storekeepers and other goldfields dwellers is captured beautifully in S. T. Gill’s Sketches of the Victoria Diggings and Diggers as They Are (1852).